Dezmo brings you incredible nursery gliders that will absolutely transform your life and your home. They know that the early days of parenthood are both magical and more than a little challenging. That is why they offer gliders that are comfortably, stylish, and unique. 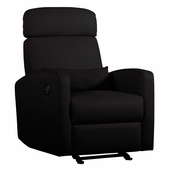 All of their gliders come with plush padding and soft fabric that makes you melt when you sit down. They also work to offer gliders that look much more contemporary than traditional offerings. 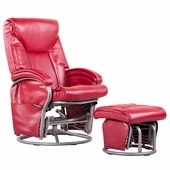 Finally, they work to incorporate unique feature, such as electric recline, push button recline, and push back recline. There is no going wrong with a Dezmo glider.